The aim of the paper is to use data mining technology to establish a classification of breast cancer survival patterns, and offers a treatment decision-making reference for the survival ability of women diagnosed with breast cancer in Taiwan. We studied patients with breast cancer in a specific hospital in Central Taiwan to obtain 1,340 data sets. We employed a support vector machine, logistic regression, and a C5.0 decision tree to construct a classification model of breast cancer patients’ survival rates, and used a 10-fold cross-validation approach to identify the model. The results show that the establishment of classification tools for the classification of the models yielded an average accuracy rate of more than 90 % for both; the SVM provided the best method for constructing the three categories of the classification system for the survival mode. 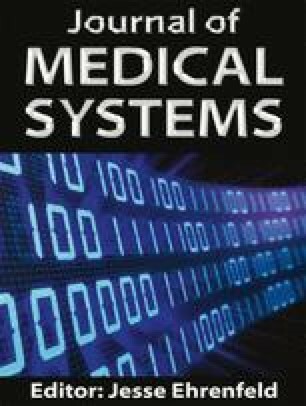 The results of the experiment show that the three methods used to create the classification system, established a high accuracy rate, predicted a more accurate survival ability of women diagnosed with breast cancer, and could be used as a reference when creating a medical decision-making frame. This research was performed under the auspices of Taiwan’s National Science Council (NSC 99-2221-E-224-033-MY2). Department of Health, Executive Yuan, R.O.C., 2013. Retrieved from http://www.mohw.gov.tw/cht/DOS/Statistic.aspx?f_list_no=312&fod_list_no=2747.